This section provides information about all the software and instruction necessary to comply with the Desktop and Portable Computer Standard. 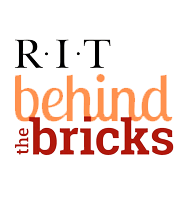 The software on this page is intended for use by students, faculty, and staff at RIT. Inexperienced/non-technical users may want to check out our Digital Self Defense 101 Workshop, which explains the dangers of the Internet and RIT security requirements in greater detail. Read and understand the RIT Code of Conduct for Computer and Network Use and the RIT policy regarding Digital Copyright. In addition to compliance with all standards and policies, administrators should refer to the Resources section for implementation configurations, guidelines, and best practices. Make sure you understand and comply with all applicable standards. Many forms and checklists below are provided as Adobe PDF Fill-in forms and can be filled in and printed from Acrobat Reader. To protect the RIT community and the Institute network from computer-borne threats, RIT has created minimum security requirements for desktop and laptop computers. All RIT-owned or leased computers. Any computer (physical or virtual) connecting to the RIT network through a physical, wireless, dial-up, or VPN connection. Note: This requirement applies only to RIT-owned and leased computers. There is currently no requirement for personally-owned machines to run host intrusion prevention. Currently, personal networking devices used on the RIT residential network (such as routers, switches, etc.) do not need to meet the Network Security Standard. Resnet has created separate guidelines for Using a Router/Wireless Router on the RIT Network. The following products have all been tested by the Information Security Office and approved for use on RIT-owned/leased computers.